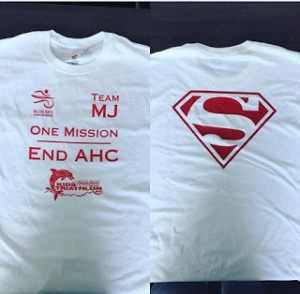 This story was shared from Brent Munsell, an AHC dad raising awareness on his own through running… and getting his friends in on it too! She accomplished a Personal Record during this event, and we all know it was the t-shirt Brent made! Great job Melissa and thank you! She created a blog post (http://melissacunninghamifpapro.blogspot.com/2017/04) that recapped the event.